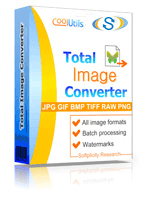 Total Image Converter is an all-in-one file conversion utility with a user friendly interface and a vast number of ‘mod cons’, which permit users to tailor images to suit their individual requirements. 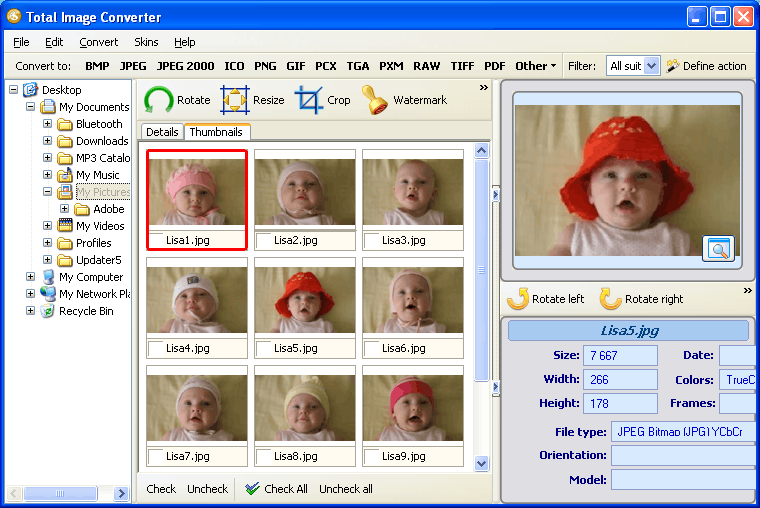 It supports almost all image formats, including raw file formats, such as MRW, CRW, ORF, NEF, etc. Launch the interface and select the folder with MRW files from the folder tree. Check the files optionally or use the Check All button to batch-convert. Select the target format in the format bar or Convert menu. Follow the wizard’s recommendations. 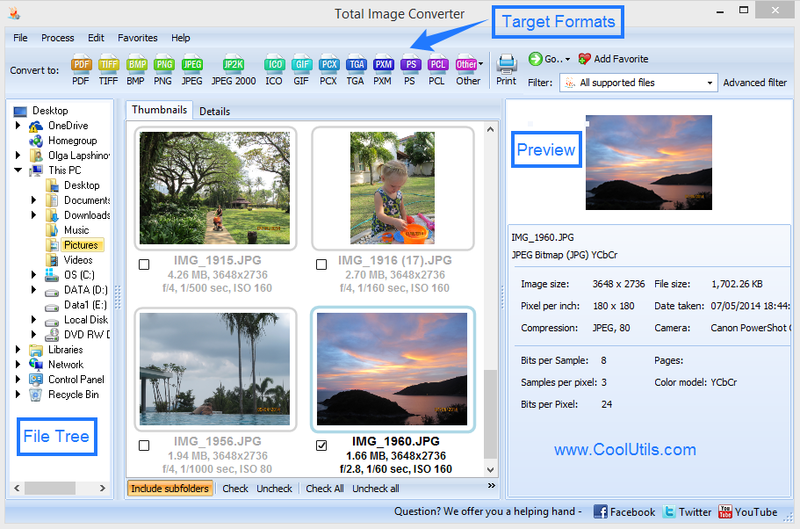 You can rotate, resize and crop your images in your preferred way. Specify destination folder and select appropriate image quality options. 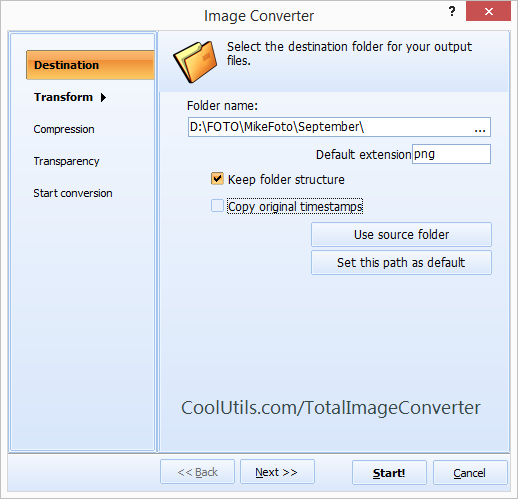 Click Start to convert.